Here are Part I , Part III and Part IV of this. There’s a The End? post too. Jean Maskuli worked some serious internet magic and found this for us. And I assume that the back end then knows that you’ve voted and gives you your credits. I found this page where people said they’d completed the offer and it was credited. So there you have it. There are undoubtedly other offers across the web that come to the voteforgood.info back end. That’s how they’re offering SwagBucks, WeeMee gold points, facebook credits, etc. 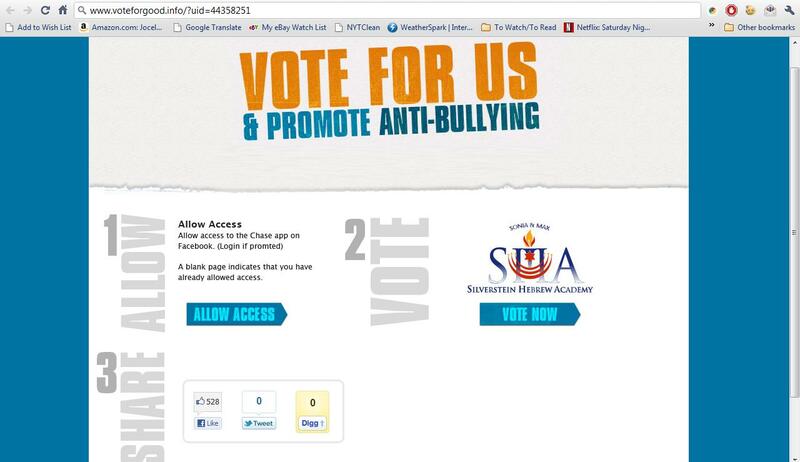 Its not just the invisionCA colors, their logo is at the bottom: http://www.vote4antibullying.com/?uid=44370673 Make sure you screencap each diff. charity involved. Its def. 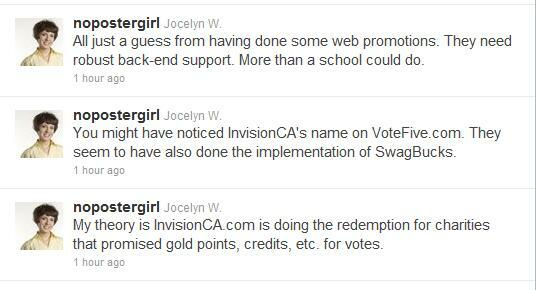 InvisionCA’s work. Even if they claim they’re “donating” their services, it’s against the rules. I was only able to get the one screenshot of the SHA offer. I was just too exhausted last night, and didn’t look any further than the first offer. And now that offer link no longer exists, as of 9:25 EDT this morning. Thank you for your detective work! Great posts! “Please forward this to Chase Community Giving on Facebook. Thank you. I am a Chase customer. I support Whittemore Peterson Institute in the CCG contest. I am writing you for two reasons. First, to let you know how great WPI is and urge you to award them some of the discretionary contest funds. I have had ME/CFIDS for 8 years. 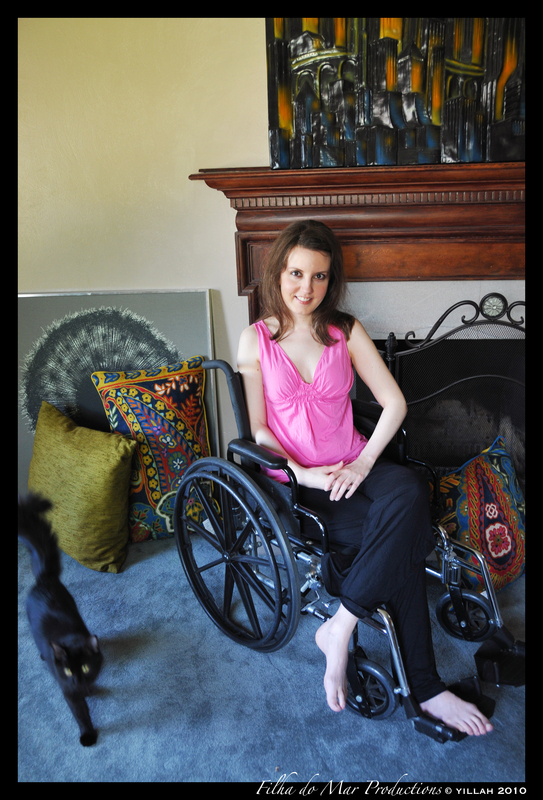 It is a devastating neuro-immune disease. 17 million people worldwide have ME, with virtually no viable treatment options and little bona fide research. That is, until the Whittemore Peterson Institute recently came along. One family, fighting for their daughter’s life, footed the bill and opened a state of the art institute to research Neuroimmune disease. But, this single family can no longer cover all of these costs alone. WPI needs help raising money to perform the necessary research for a cure. That’s where you can help! All funds will go to desperately needed research. Please award some discretionary funding to WPI! Thank you. The second reason I am writing to you is that it seems quite clear that some of the leaders in the contest both have gotten many votes in an unsportsmanlike manner and are also ineligible for the contest because they are religious organizations. Chase just announced the official results. WPI remains in 12th place, so I guess they didn’t care. Your title is wrong and misleading. Where in the official rules does it say, one is not allowed to offer incentives ??!?!!? 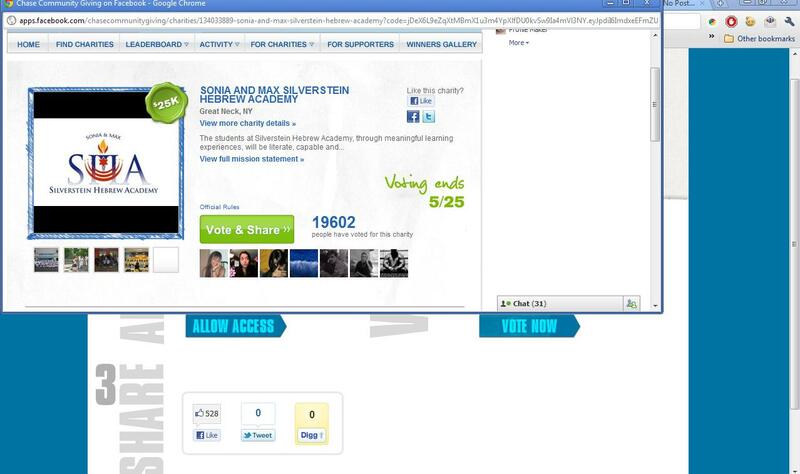 Does anyone know if they were able to vote for all of the top schools at once, with one click? 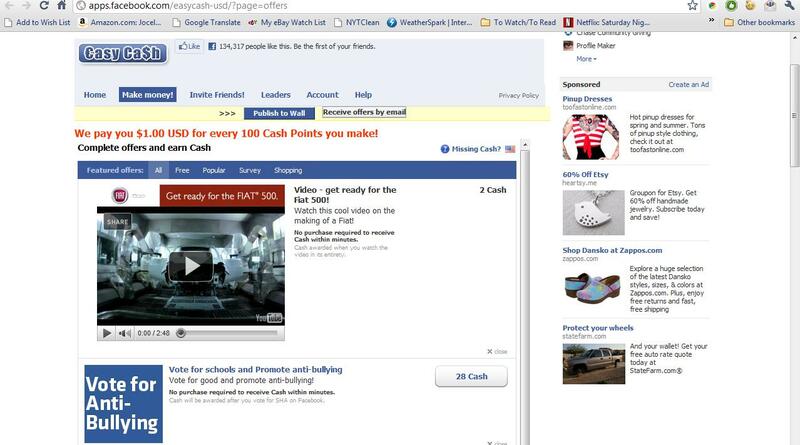 I was not Flo, through Easy Cash, they were individual links on that one page. I was paid .21 cents this morning for my vote on one of the schools as a test. Can anyone tell me where we are sending the concerns to chase… I have a few of my own.